It is the selection of features a jigsaw has that is the main determinant of its performance and versatility. When comparing models, you should look for a jigsaw that has a combination of features that will be most beneficial to your needs. The shoes of most jigsaws can be set at different angles to enable the tools to produce bevel cuts. Sometimes, the angle of the shoe is altered by loosening the screws holding it into place. However, jigsaws that have 'tool-less' shoe adjustment are becoming more common. The shoes of these saws are adjusted using a spring-loaded lever. 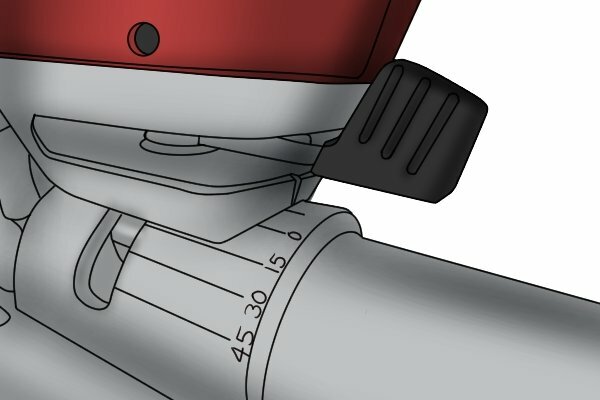 They can then be set at either 15, 30 or 45 degrees to the blade before the lever is fastened, to lock the baseplate into position. 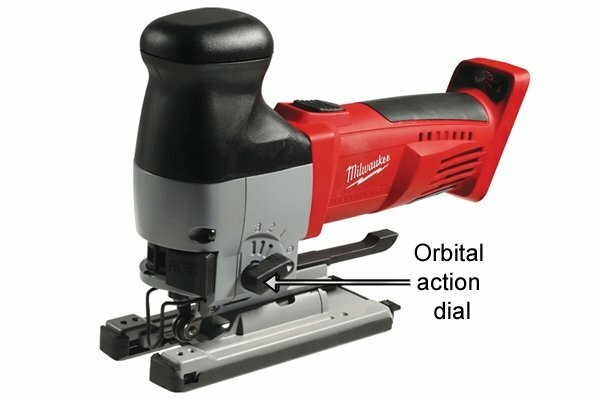 Perhaps the most beneficial additional feature a jigsaw can have is orbital action. This is because it considerably increases the versatility of the tool. Whereas the blades of standard jigsaws move in an up and down motion, the blade of an orbital action jigsaw can move slightly forward and into the workpiece as well as up and down, so is able to cut faster and more vigorously. These saws can be adjusted to one of up to five different settings, ranging from straight cutting to aggressive orbital action, depending on the material you are working with and the finish you require. For more information, see What is orbital action? 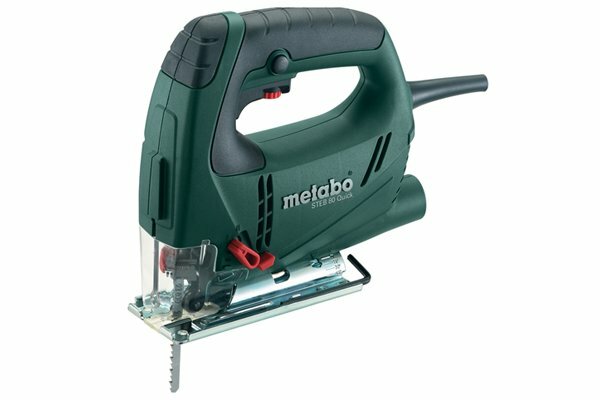 Although, compared with other types of saw, jigsaws do not produce as much debris, having some type of dust control is helpful. 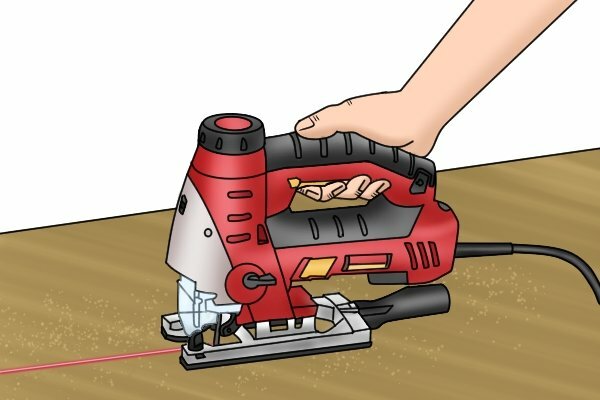 Jigsaws with a dust blower direct a stream of air onto the point of cut, blowing unwanted sawdust away and improving visibility. The dust blower is usually controlled by a dial on the side of the motor housing. 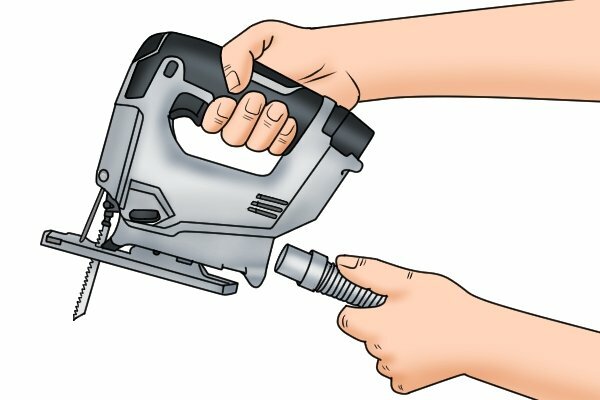 Some jigsaws have a dust extraction port at their rear which enables the user to connect a workshop vacuum to the tool. 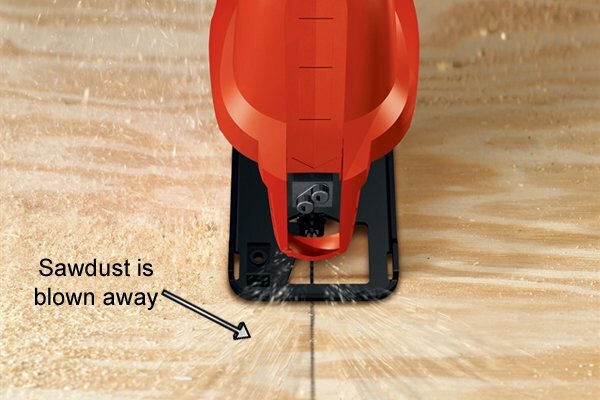 The vacuum then extracts sawdust from the cutting line as you work, keeping your workpiece free of debris. 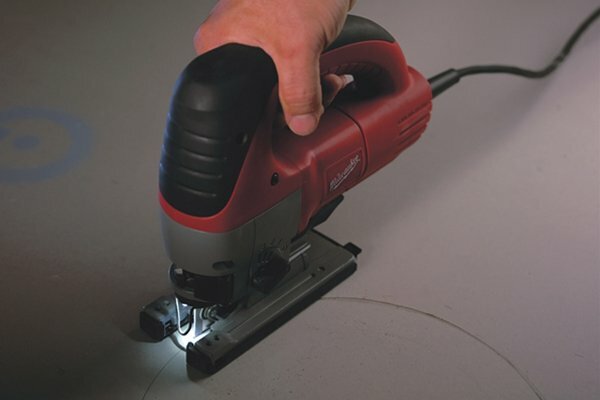 An LED light is another advantageous feature to look out for when choosing a jigsaw. The light shines directly over the blade during use, and enhances visibility by illuminating the cutting line. This is especially beneficial when working in poorly lit areas. 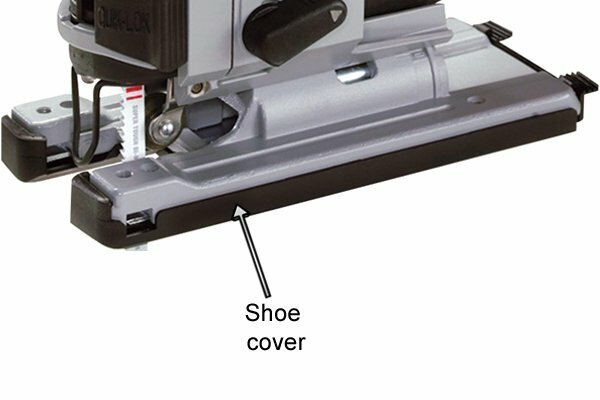 Some jigsaws are supplied with a shoe cover, a plastic case that can be attached onto the base of the tool. 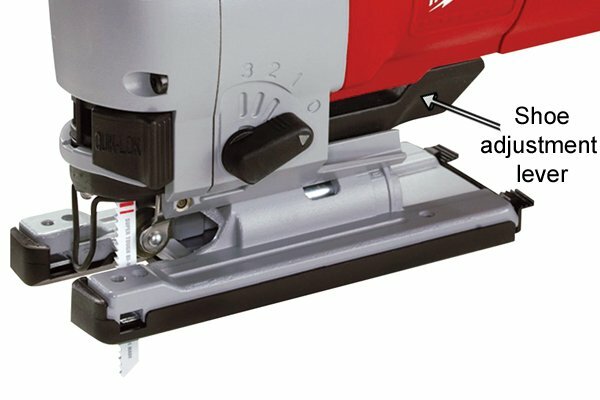 This feature is particularly useful when cutting softer materials as it prevents the tool from damaging the surface of the workpiece. 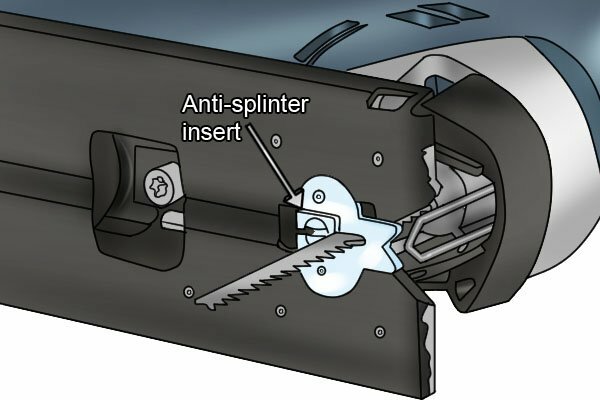 An anti-splinter insert is supplied with certain models which can be clipped onto the shoe to provide additional support to the flexible blade. By doing so, the insert also minimises damage to the workpiece, reducing tear out and preventing the cut surfaces of thin or fragile materials from splintering. Some jigsaws are able to project a laser line in front of the blade. The precise beam of light follows and highlights the cutting line, increasing accuracy when making straight cuts. 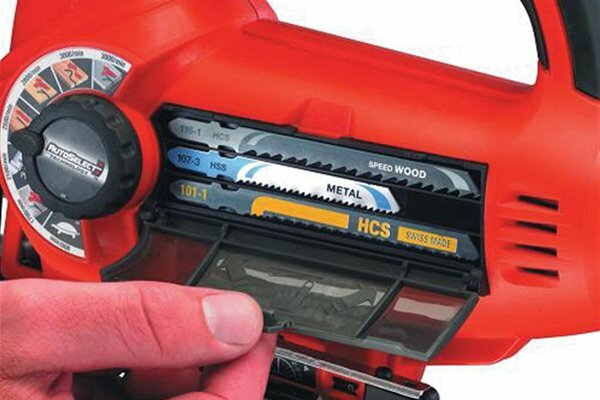 On-board blade storage allows you to keep your jigsaw blades in the side of the tool so they are readily available when you need to use them. 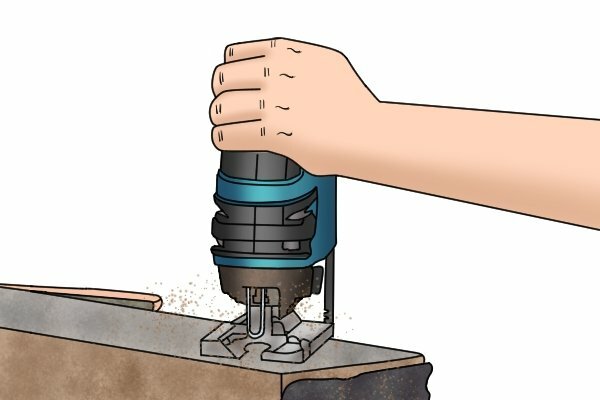 Some jigsaws have a knob on the top of their body which can be turned 360 degrees to change the direction of the blade (without turning the entire tool). 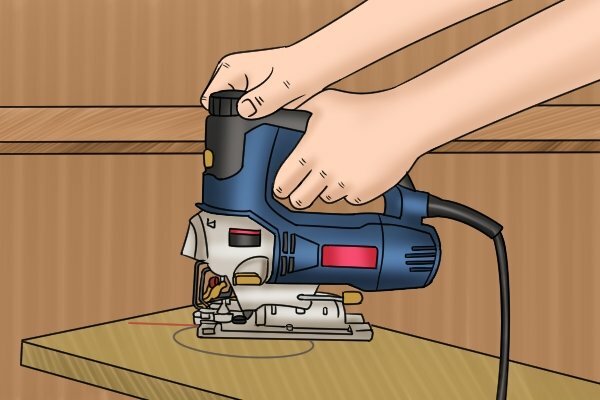 This is a helpful feature if you intend to use your saw to make intricate scroll cuts and is particularly useful for work in confined spaces where there may not be room to move the whole jigsaw.